While some prefer to study in silence, many others have found their perfect focus-inducing songs in the form of movie scores or timeless classics from Medieval to Baroque. Below are compilations of campus favorites from the two genres. It should come as no surprise that students adore Howard Shore—especially his works from Lord of the Rings. Also popular are both John Williams and Hans Zimmer. Beyond big-screen blockbusters, students love Disney scores, and some even favor video game soundtracks. 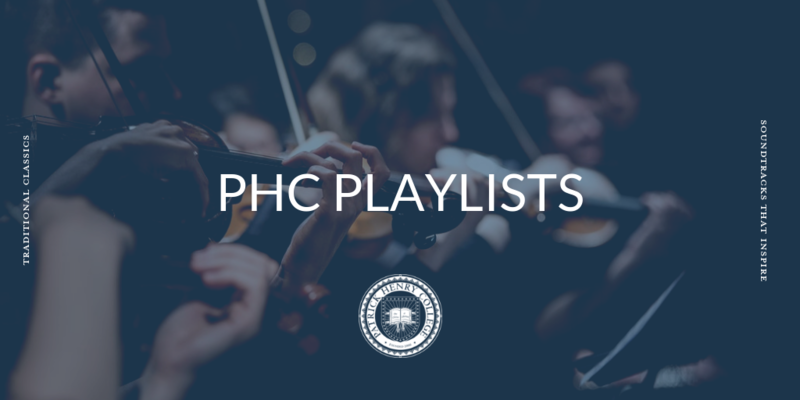 This playlist includes music like "Cornfield Chase" (Interstellar) by Hanz Zimmer, "Concerning Hobbits" (Lord of the Rings: The Fellowship of the Ring) by Howard Shore, and "Married Life" (Up) by Michael Giacchino. What Classical Liberal Arts student doesn't love the early classics? Not only is this a great playlist to help you focus, it's also a great preview into Dr. Kristina Tanner's Music History and Appreciation class. With big names like Mozart, Dvořák, and Bach, who could argue that this isnt' a good playlist? It showcases works like "Ave Maria" performed by Yo-Yo Ma, Vivaldi's "Four Seasons", and Chopin's "Nocturne op. 9 no. 2."